The BCAAs Leucine, Isoleucine and Valine support muscle, help minimize muscle breakdown and accelerate growth and recovery. THE BRANCHED CHAIN AMINO ACIDS LEUCINE, ISOLEUCINE & VALINE. 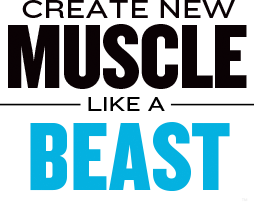 THE BUILDING BLOCKS IN THE QUEST OF MORE MUSCLE, ENERGY AND LONGEVITY. AMINO ACIDS (AAS) ARE IMPORTANT BIOLOGICAL COMPOUNDS THAT SERVE AS THE BUILDING BLOCKS FOR ALL PROTEINS. OF THE 20 STANDARD AAS, THREE CONTAIN BRANCHED SIDE CHAINS, OR A NON-CONTINUOUS LINK OF CARBON BONDS: LEUCINE, ISOLEUCINE AND VALINE. THESE BRANCHED CHAIN AMINO ACIDS (BCAAS) ARE AMONG THE NINE ESSENTIAL AMINO ACIDS FOR HUMANS MEANING THEY CANNOT BE MADE BY THE BODY AND MUST BE CONSUMED THROUGH THE DIET. THEY ACCOUNT FOR ~35% OF THE AMINO ACIDS FOUND IN SKELETAL MUSCLE AND MAKE UP 40% OF THE DAILY REQUIREMENTS FOR ESSENTIAL AMINO ACIDS. 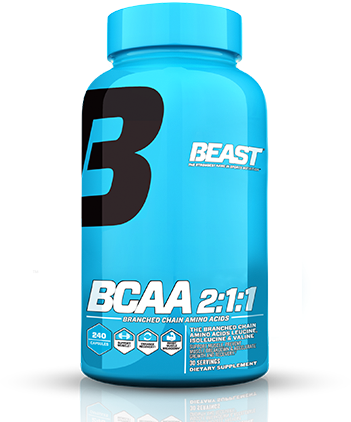 THROUGH THEIR SIGNALING EFFECTS ON PROTEIN SYNTHESIS, BCAAS EXERT A PROFOUND INFLUENCE OVER THE METABOLIC PROCESSES ASSOCIATED WITH PROTEIN SYNTHESIS, OR THE FORMATION OF NEW MUSCLE TISSUE. RESEARCH SUGGESTS THAT CONSUMING ADEQUATE LEVELS OF LEUCINE MAY SPARE MUSCLE TISSUE BREAKDOWN DURING INTENSE EXERCISE AND DIETING BY ACTIVATING REGULATORY PROTEINS ASSOCIATED WILL CELL SURVIVAL.